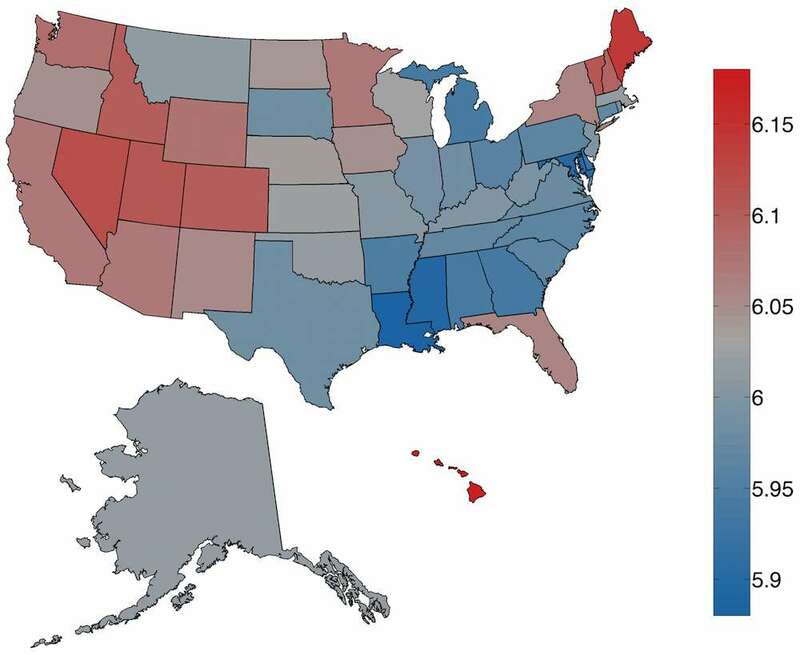 A study by University of Vermont researchers shows where the happiest people in the United States live based on an interesting metric: The language in our tweets. 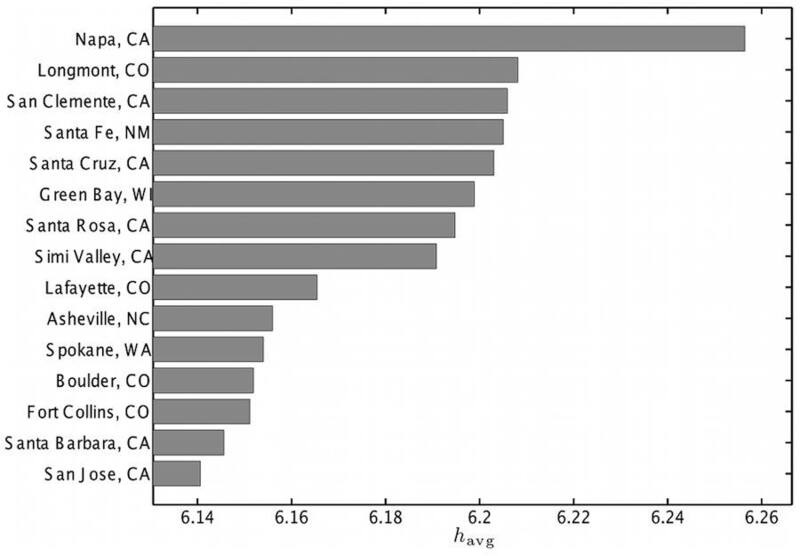 The study, entitled “The Geography of Happiness: Connecting Twitter Sentiment and Expression, Demographics, and Objective Characteristics of Place,” analyzed tweets from around the country, focusing on 10K words that were graded for their positive or negative connotation. 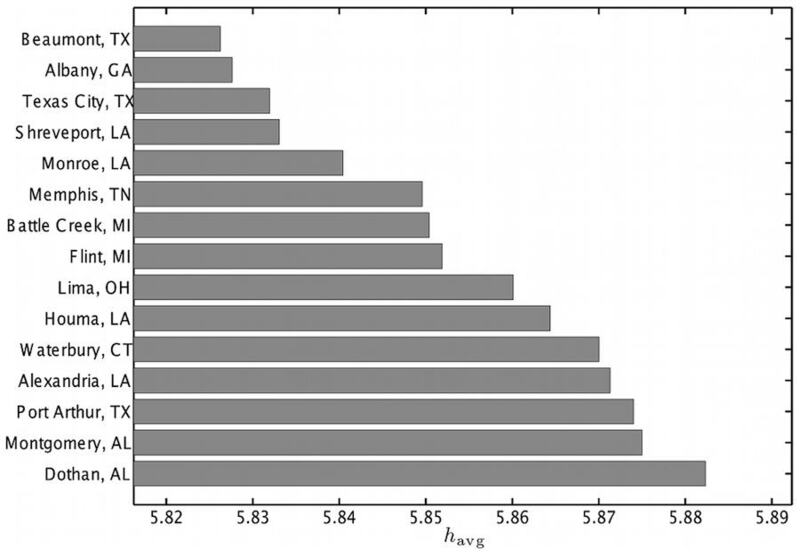 The frequency of usage–positive or negative–was used as a gauge for happiness levels. Analyzing tweets might strike many as a dubious litmus test for assessing collective happiness or misery, but the study’s results are closely correlated with other wellbeing assessments like the Gallup Wellbeing Index. The latter study uses more traditional indicators like poverty, life-expectancy and violence to assess happiness and wellbeing. The Twitter study tracked other correlations like happy tweets and obesity (inverse correlation), obesity and tweets about food (high correlation) and college education and tweets about cafés (again, high correlation). This study sparks a couple questions. Assuming you could maintain a similar quality of life in one place as another, would you let a study like this affect your choice of where to live? 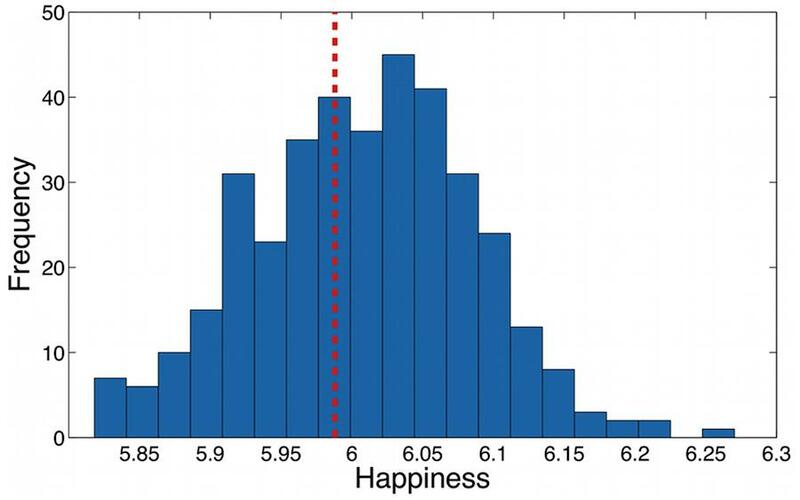 (This assumes you are less than happy in an unhappy place–e.g. unhappy in Beaumont). If this study were true, why wouldn’t everyone want to live in Napa? The other question is perhaps more metaphysical: Does language have any causal relation to our happiness? As the Heidegger quote suggests, might we be the servants of our language? And, assuming we can exert our will upon our language use, might we be able to affect levels of happiness via language modification? What do you think? Would you move to a place because it was reported to be happier? And do you think we can affect our states through language, or does language merely mirror our states, having little or no ability to change our states? It is actually both, we are the shapers, also through language, and language shapes us; it depends on our state of awareness.